Missouri Education Watchdog: A Mom Has Questions About Common Core. No One is Held Accountable for Answers. Lois Lerner Revisited. A Mom Has Questions About Common Core. No One is Held Accountable for Answers. Lois Lerner Revisited. Do state agencies, politicians, school boards, superintendents in Missouri all have the Lois Lerner disease? None of them will answer Common Core questions. It's not just Washington DC that's sick. It's in our state legislature, school districts and bureaucracies. We've written how our state agency won't answer questions on Common Core. Take a look to the right on this website and see how long Missourians have been waiting to get answers from the statewide May 2 meetings about Common Core. Read the letter below from a mom who wants answers from her superintendent, DESE, state politicians, ANYBODY who has answers about Common Core. Read about Senator David Pearce's aide who dismisses taxpayers as torch bearers and Common Core will be implemented whether they like it or not. Read about the dismissive and arrogant attitudes of these bureaucrats and politicians making decisions for your children using your money without your approval. Then get as angry and tenacious as this mother and start calling, start petitioning, and start pulling your children out of the public school systems. 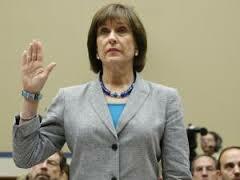 This is taxation without representation and this lack of accountability smacks of Lois Lerner. These are your kids and your money. It's time to demand answers. By the way, Senator Pearce's number is (573) 751-2272. I'm sure he would appreciate hearing from all you moms, dads, grandparents and taxpayers concerned about Common Core. Tell him you will keep your torches at a minimum, but that you do not appreciate his support of the Missouri NEA's position of Common Core and its endorsement of his campaign should not sway his constitutional understanding of the development/delivery of Missouri education. I am a mom seeking answers to, what I feel, are very basic questions surrounding Common Core and what its implementation will mean to my children, school and community. I have been at this a short time, so I am either not aware of who the right contact is, or there is something terribly amiss. I guess that remains to be determined. I feel that my children are worth taking the time to find the answers to a few basic questions, especially when it has the potential of affecting them at this level and magnitude. I honestly want to believe this is a great program, that someone has my child's best interests at heart. That there are those who still believe that while there should be some accountability, a teacher should have flexibility to be creative, innovative and passionate and in so doing will inspire children to become their best. I want to believe that teachers still become teachers because they care, and that school boards still function, as quoted from the MSBA website, "...as guardians of the public trust, and through the policies they make are ultimately responsible for the success or failure of local public education. The board serves as the advocate for educational excellence for the community's youth and puts those interests first..."
Will Common Core help us stay true to these ideals? Are these ideals old fashioned? Are they old fashioned partly because we as a people have become unengaged in our children's education, therefore leaving superintendents, school boards and teachers alone to face the overwhelming task of trying to turn out bright, engaged and well educated children? I could be more engaged and informed, and I am trying to do so. What I'm in the process of learning is if the system, at this point, will even allow such a thing. If there are still school boards, superintendents and teachers who still want or believe that the "ideals" can be recaptured. I'm here. I have questions. I'm seeking answers. I am a vested parent who will not allow apathy to dominate the arena and therefore risk my child's future. Listed below are the people we have made efforts to contact and their responses. I’d like to believe we are not getting answers because of our lack of understanding of who the proper contact is. Maybe someone else has some suggestions, which we will gratefully accept! *Local school board and superintendent: Hands are tied concerning CCSS, we cannot stand up to DESE. Our response: “We would like you to come very much and we would be so happy to pay for expenses so that you could represent DESE at this meeting. Would you please reconsider? Thank you for posting others' questions on the website but we already have questions, what we are lacking are answers. Since this will be implemented in the fall it is not much help to get answers sometime. This is an important matter affecting our children and their education and we are taking this very seriously and we trust that you take it seriously too. Please either come and/or send a representative, we will have a chair for you. Let us know about the expenses you incur and we will be happy to assist in that matter.” Since then there has been no response. *Representative Scott Fitzpatrick, calls on our behalf; Response: DESE will NOT be attending. *Senator David Pearce: He was set to filibuster the bill that would have required DESE to answer questions, maybe he knows something I don’t. Maybe he would be willing to come or send someone that knows the answers? I called and spoke to Matt Michelson, explaining our situation and desire to have both sides equally represented. I told them that there were questions people had. He possibly misunderstood my concern over CCSS because he said, “Answer their questions by telling them that they can bring their torches, but this is being implemented whether they like it or not.” Hmm, really??? Senator Tom Dempsey Is he the one that determines who sits on these committees? Maybe he might know of someone that can come. His staff was helpful. His secretary gave me the contact information for Chris Nicastro. Education Commissioner and head of DESE. We have gone full circle. We did try to contact Ms. Nicastro. Her secretary said we may have a good chance of reaching her if we call at 1:00 today, which we will do. She also gave me the name of Stacy Preis. *Stacey Preis: Executive Director on the Joint Committee on Education. From what I was told, that committee is a non-partisan committee for education. I called and explained where we were at, and our situation. She didn’t think the Chamber of Commerce would have anything to do with it, but she did say DESE should be contacted and she would be willing to call them for us. She did call me back. She was told that the superintendents should present and field questions from local school districts. *Peter Hurschend. President of the State Board of Education: We left a message with his secretary. We are waiting for a return call. *Governor Nixon The secretary took my information and said she would pass it down to the right people. I tried to explain who we had contacted. She asked who was coming to our meeting. I expressed my concern and desire to have a balanced meeting and told her I needed to know either way if they knew of someone that could come. She didn’t promise anything, but said she would pass the information along. To be totally honest, I have not pursued having a superintendent present at the meeting. My superintendent can’t answer these questions. We asked them at the school board meeting. The point in having the meeting is to have questions and concerns alleviated, not perpetuated. Is it fair to expect superintendents to answer the questions, when DESE tells us they have pdf files of questions posted, but no answers? Who gives the superintendents answers?? Isn’t that DESE? The only person I can think of who we haven’t tried is Lt. Governor, Peter Kinder…. I will try his office before lunch. Who is going to pay for Common Core? Will our property taxes go up to fund it? Has there been a cost analysis on how much this is going to cost our schools? Does this mean more unfunded mandates for our schools? Does this reduce Federal spending and/or control? Who developed the standards and assessments in the CCSS? How will this affect homeschoolers, private and Christian schools if the ACT and SAT are realigned to the CCSS? What recourse do we have if some of the curriculum does not represent our values? What lies ahead for student privacy? What data is being collected now on my child? What data will be collected in the future? Where does that data go, and what is done with that data? Why are there thirty-two U.S. Congressmen expressing their concerns to the U.S. Department of Education over the legality of CCSS, data mining and the violation of the FERPA laws. These concerns mimic some of the same concerns we have. Are these concerns unfounded? What will happen to our local school board if these education decisions are being made by a consortia of states? If we don't like these standards, teacher evaluations, mandates or assessments, can we get out? Are the assessments available for viewing at any time under the Sunshine Law? Why would we adopt these standards and assessments before they were even written? Did the Governor have the authority to sign a Memorandum of Understanding of adoption of CCSS without legislative approval or adoption, pursuant to Missouri Revised Statute 160.518? Did my school have to adopt these standards and assessments? Can they choose not to adopt these standards and assessments? What are the ramifications if they don't? Are teachers allowed to use whatever curriculum they want to teach these standards? Will our children have text books that can be subject to review or will most lessons be done in class or online? Can teachers deviate from the standards to teach other things they think are beneficial? Will they have time to teach other things, or are we again, teaching to a test? I understand that half of teacher evaluations are based on the assessments. Is this true? Are there cameras in the classrooms, or will there be cameras in the classrooms to ensure teachers are teaching "how/what they should"? Who decides if a teacher is teaching "how/what they should"? Is it true that teachers can only deviate 15% of their class time from the standards? Does that equate to about 6-7 min. a day to teach something NOT in the standards, such as Missouri Constitution, cursive handwriting, etc.? What prevents us as a state from adopting more rigorous standards without all the oversight, mandates and strings? Who is in charge? From the school board level to the DESE, from DESE to the Governor, we have not been able to get answers to these questions. Our children are worth taking the time to answer a few basic questions. Please help us understand!! I am running out of time as there is currently no bill to stop CCSS ‘s implementation and at this point, I’ve been unable to get answers or even have someone willing to come explain it. Thank-you for your concern! I am a new adoptive Missouri mom and have some of the same concerns. I am willing to help where ever I can. You can contact me at drk2040@netzero.com. Please memo Common Core so it does not get lost! Nice job Missouri Mom! One other suggestion, bring your concerns and especially your excellent questions, to the attention of everyone in your neighborhood, and the Moms of all of your kids friends. Ultimately the only way you'll get answers from those you've contacted here, is if all of those friends and neighbors make your questions, their questions, and insist upon their being answered.